When it comes to the emotions involved in relationships between men and women, there are a lot of grey areas, athough, some are usually clearly defined. One example of the latter, is the way that most people can differentiate the feelings that they have for someone they like, and someone they love. Let’s take the relationship between a mother and her young son as an example. Naturally, your son would not say: ‘I like you, mom’ – instead it’s ‘I love you, mom’. In this instance, the difference between love and like is that the emotion between parent and child is something that is unconditional. A child is born loving his or her parents, so the emotion is deeply embedded, and comes naturally. But if love is unconditional, how about liking someone? This has something more to do with romance, than paternal love. Most men and women who are in a fairly new relationship are usually hesitant to voice their feelings. So, instead of saying: ‘I love you’, right away, they say: ‘I like you’, instead. In the complex world of love, dating and relationships, readily admitting that you love someone may scare the other person away ‘“ because it entails a long-term commitment. For men and women, admitting love is usually a signal that the relationship is growing to be more serious, and could eventually lead to marriage. Let’s take a look at more of the key differences between loving and liking. Liking someone means that you are happy being with that person, while loving someone means that you absolutely cannot bear to be without that person. As cliche as it may seem, liking gives you the proverbial butterflies in the stomach ‘“ but loving someone involves something much deeper than that. All in all, the difference between love and like has something to do with the depth of your emotion towards somebody. Liking may give you that warm, fluttery feeling inside ‘“ but it’s mostly superficial. Love, on the other hand, involves much deeper, complex emotions, making it one of the greatest feelings that you will ever have in your lifetime. 1. Love is an unconditional emotion, while like is a more watered-down version of love. 2. Loving someone means that he or she means everything to you, while liking someone means that you are simply happy being with that person. 3. Love involves deeper, stronger emotions, while like is more of a tender feeling towards that special someone. 4. Love is another person becoming an integral part of your life, while like is being comfortable in the company of a person. Mabelle. "Difference Between Love and Like." DifferenceBetween.net. May 17, 2011 < http://www.differencebetween.net/miscellaneous/difference-between-love-and-like/ >. This is cool, I immediately thought about the word you used…”like” this article, not love this article. Seems fair to me! :)) Keep up the good work! My understanding of the difference between love and like, based on recent experience is, love has and does affect me physical. I have the proverbial “broken heart” and it has caused me to be physically sluggish and lackluster in my everyday functions. When I meet and interact with a beautiful woman, my expressions and reactions are very different than with “her”. I have become reluctant to involve myself with a woman in an intimate way. I’m not sure if it is emotional or psychological. My body just doesn’t function in the same way as before. Like, is in the head and love is in the heart. I can control like, I can’t control love….just accept the pain of unrequited love. My head tells me not to love her….trying to convince myself to do that is impervious. Trying to accept my love for her as something good so to understand the “whys” of what she has done to create the dislike created in me, inwhich to believe she will eventually return to her true nature (which I like very much), is what I now try to do. If she has been going through the same dilemma as I, I don’t know. Mutual like, gives a person an opportunity to Love as Love was intended. Dislike, makes Love a burden until time affords us contentment without the one we Love. This article unraveled what led me here – Unrequited Love. There’s a lady I love so much and sincerely, I really like her but my friend keeps wondering why. A reason for which I haven’t figured out. It took years for her to eventually concede to what seemed like she convinced herself to do – avowing that she loves me too. However, down the line, she retracted her decision and left. Despite trying so much to get over her and even resorting to cutting off all connections and social media link so I can start over, I realize that my affection for her keeps echoing and it really hurts. It’s indeed been a burden and I earnestly wish time will be fair to grant me contentment to live without her. Pure drivel. You’ve bound loving someone to liking them as if they are even remotely connected. Are you saying someone cannot love someone without also “having” to liking them? In your experience, that may be true… limited, but true. Really, you want me to give u example of what I mean?! Are you really saying this is the first time u heard about Love-Hate relationships??! They are all around you! Those relationship full of drama that drive you off the wall, make you want to kill each other lol and end the play with mind-blowing angry passionate make up intimacy ! And what about when one is doing something or a LOT what the other one Cannot STaNd, and may it maybe even hurting them, I.e. drinking, doing drugs, being irresponsible, spending the other ones money, even RUINING THE OTHER ONE’S LIFE, but can they say they still love each other DESPITE those things? Yes, they can ! We may be putting up with all kinds of stuff, and sometimes we feel like we cannot be WITH, but we cannot be WITHOUT them ! That’s because When you “like” someone is because of a specific reason or reasons, but when u love, it’s despite ANYTHING ELSE! So do u really have to “like” somebody to love them?! Have you ever met someone by chance if disagreement /clashing about an issue, just to find yourself hopelessly falling into the quicksand of LOVE ? excellent..love is inner model while like outer model..
like is what coms wit force while love come wit emotion,in love we find like. divorce of like is notn but divorce of love is death. so b concios. I think like is someone is more of a short term thing. You like some for one mounth then it’s another person the next. I believe that if you like someone more than 6 months, that you love them. Simply liking is just very begging to feels for someone. Either those feelings can build up to love or move on from that person. Love is stronger and also last longer. Over all, there is a difference in loving or liking someone. Naturally, everybody, even a pig, is able to LIKE. With human emotions, this phenomenon gains further complexity which also brings along a greater duration effect. But LOVE, true and ultimate love, which has to do with marriage (which is not a human institution, or invention) is entirely a qualitative different thing. It is not occurring naturally, and it is to be learned from it’s institutor – God, the Creator. Key differences, or characteristics, are: the LOVE I speak about is spiritual, not natural, nor does it have a materialistic basis. It’s not about taking or bringing me what I need/like, it’s about giving what’s good for the other person. It is under no circumstances to be confused with emotions/feelings (those accompany it, but are not the same thing). It’s something you don’t know by yourself, you need to learn it (from God and His teachings in Scriptures) – so it’s a life lesson. It’s opposite to the evolutionist ways: it’s not selfish but altruistic; you are not the most important center in the universe but the other person. Ultimately it’s a life long exercise that prepares you for that perfect happy and everlasting society (where people won’t do to each other evil like here now) but the opposite, called Heavens. It is a spiritual principle you choose, learn and apply to your own life if you want to qualify for that ‘society’. It’s God’s gift for men who accept it. Bless you. TO LOVE SOMEONE, YOU DONT GOTTA FREAKING LIKE THEM AT ALL! To me love has a reason and like is natural. Eg I love my wife or my girl because she is beautiful. Or educated.or I love my mom because she care for me whch means if not that beauty you will not love it. But like is something that you see or hear if even you will not gate it but inside you. You like it good or bad. According to me, you start liking other person’s habits, personality, and other such things… When wavelengths match, common stuffs come out, and eventually you fall for him/her. Well, I also knew what you know about and held to what you believe in love, but my understanding of love and like, and loving someone and liking someone has changed after listening to a song on radio. In fact, I have come to understand after listening to that song that, we don’t marry base on love but like. Yes, we must love and God says we must even love our enemies. So, I ask, can or will you marry your enemy, I mean your enemy? I hope, no. Love to me is a basic thing a person has to have or inculcate in life, and God demands that, as human, you must love your neighbour or every human being no matter the relationship between you and that person. If we marry base on love, why did God said, a husband must love her wife and a wife must be submissive to her husband? Are we saying that it is only the man who is to love but the woman is not supposed to love but instead be submissive? No! Why because love is a basic thing every human being must have and because the general law says, love your neighbour, the wife has gotten her instruction to love her husband already. So before you will marry anyone, you already have the love for him or her because of the law to love your neighbour as yourself. If you don’t have love for your fellow human being, you cannot approach him or her in the first instance to propose to him or her. Who will marry her enemy? So yes, love but love is not and shouldn’t be the basis for marriage. If it is true what people say that they marry people because they love them or they love themselves, then how come sometimes people will or can kill their wives or husbands, somebody they love? Does love kills? Tell me, does love kills? Love does and can not kill. So if we really marry on the basis of love, then what is going on in marriages under the sun, shouldn’t have happen. Beloved, think about this again. To me, love is the pivot on which everything we do under this sun rotates, especially when it comes to relationship but LIKE is what keeps a relationship tight and strong and lasting so we call it Unconditional Love or Agape Love. If we say, we marry base on love, then another question is, can you marry your father or mother or sister or your brother because God says, we must love all these people? No, the fact that you love someone doesn’t mean you can marry him or her even though he or she is your relative . Like, and not love, is what we use to marry someone and not love. Somebody may say, I love her or him but there is something about him or her that I don’t like. so I am not happy or feel comfortable with him or her. So because the love is already there, he or she loves the person but because he or she doesn’t like him or her, he or she does not feel happy. So where is the love we are talking about here? 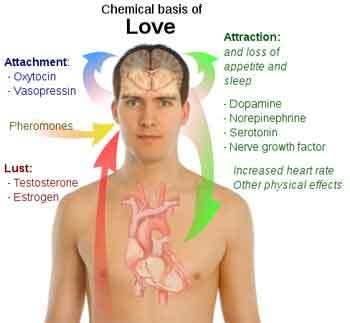 Yes, the love is there but the absence of the like, can lead to a broken marriage or unpeaceful or unhappy relations. So, beloved, I have, since i listened to just a short saying in that song (I can’t even remember the title or the exact words in that song), came to the realization that we don’t use or base on love to marry but we use like to marry because the love is already there. So LOVE + LIKE equals to lasting, loving, understandable, peaceful, happier, submissive, caring, obedient, honest, faithfulness and above all, God-fearing marriage! Loving someone but Disliking that person wouldn’t result in good marriage. So we don’t marry on the basis of love but like because, love is already there. what do I use ? love or like ? too much for me! Have fun either way! I thought this article was very good at explaining the difference between loving and liking someone. This was good stuff. Love is something which is come from feeling. Like is a thing which is come from some one choice or want. My boyfriend ask me “you like me”? I answered yes of course. It was not one time but many many times.